If there's one lesson that can be learned from MiLB.com's "Promotion of the Year" voting, it's this: Do not doubt the power of the Cave Shrimp. This little-known sightless crustacean was the centerpiece of the Bowling Green Hot Rod's "What Could've Been Night," which swam past the competition en route to being named the best promotion of 2009. "What Could've Been Night" received 11,945 votes, more than the combined total of the nine other nominees. The only other team to even come close to the Hot Rods' lofty numbers was the Fresno Grizzlies, who received 9,489 votes. The Grizzlies had been seeking a second straight "Promotion of the Year" honor after winning in 2008 for their "Mascot Showdown." While most Minor League promotions are self-explanatory, "What Could've Been Night" comes equipped with a hefty and somewhat convoluted back story. So let's start at the beginning. Way back in August 2008, the fledgling Bowling Green Baseball Club held a name-the-team contest to determine what moniker it would employ during its inaugural 2009 campaign. Hot Rods emerged victorious, but "Cave Shrimp" proved to be a surprisingly popular choice (Mammoth Cave, in close proximity to Bowling Green, is home to a sightless albino species known as Kentucky Cave Shrimp). The unexpected popularity of the "Cave Shrimp" name led to "What Could've Been Night." On this evening of alternate reality, the club wondered "What Could've Been" had Cave Shrimp been the team's nickname. 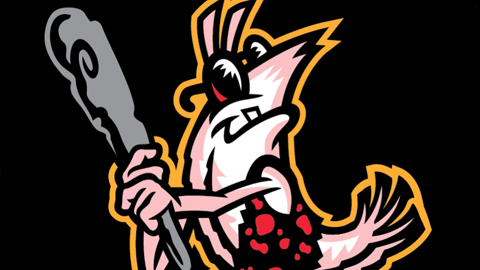 The first 1,000 fans in attendance received Bowling Green Cave Shrimp T-shirts and the team was identified as such on the scoreboard (including doctored player headshots featuring the Cave Shrimp logo). Then, throughout the evening, the team took advantage of the "What Could've Been" theme in order to bring to life a wide range of hypothetical scenarios. High concept, meet the lower level of the Minors. "As a first-season team, we had so much work to do," Hot Rods general manager Brad Taylor said when asked how "What Could've Been Night" came to be. "It got to the point in January and February where we were holding creative idea meetings from 6-9 on Thursday nights. ... It was a chance to put on your favorite T-shirt and hang out in a big room, just throw some ideas out there, no holds barred. So it was then that the seed was planted, and from there it steamrolled into a whole bunch of other stuff." The "other stuff" was all over the map as the team's production staff created a diverse array of "What Could've Been" videos. Sports was a logical topic to explore (what if the Titans had won Super Bowl XXXIV? Or if Kentucky had defeated Duke in the 1992 NCAA basketball championship? ), but the team also dealt with some far less likely scenarios. Some standouts: What could've been if Brooks and Dunn had chosen different singing partners? Or if Roseanne had been blessed with a beautiful singing voice? Or, most ridiculously, if fainting was a competitive event? But at the evening's core was, of course, the Cave Shrimp. "Thankfully, we ordered more T-shirts [than the 1,000 that were given away]," Taylor said. "It's a good thing we did because we sold a ton of them. We were left with the impression that we had hit on something that the fans thought was cool." Some fans, meanwhile, were left with the impression that the team had actually changed its name. "After the promotion, there were people saying to us, 'Why would you choose a name, only to change it to something else so quickly?'" said Taylor. "Maybe we did too good of a job." Due to the success of "What Could've Been Night," there is a strong chance that Bowling Green's favorite blind crustacean will make a triumphant return in 2010 -- Taylor mentioned that Cave Shrimp theme jerseys "would not be out of the question. For now, however, the team is content to bask in the glow of its "Promotion of the Year" victory. "We've received an unbelievably warm reception [in Bowling Green] and we want fun to be part of the experience to the fullest extent," Taylor said. "To be recognized in such a way is going to help us stand out that much more."